Welcome back to the1999-vintage state-of-the-art 15-corner, 8-straight, 5.543-kilometer circuit near the equator. This is the sixth running of a Japan / Super GT race here, although the first race in 2000 was an exhibition event and not a full qualifying round. Unfortunately, there’s no homegrown entry this year. 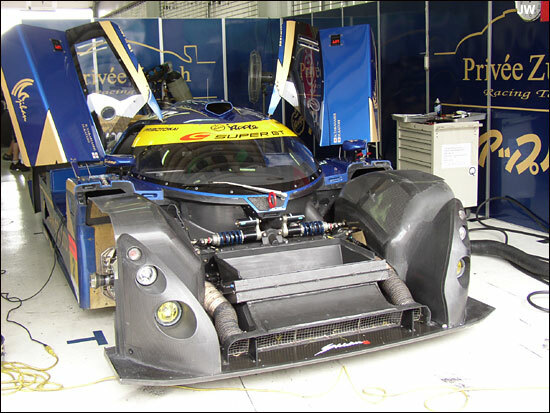 A Proton built Lotus did run in 2005. This is qualifying day in Malaysia. 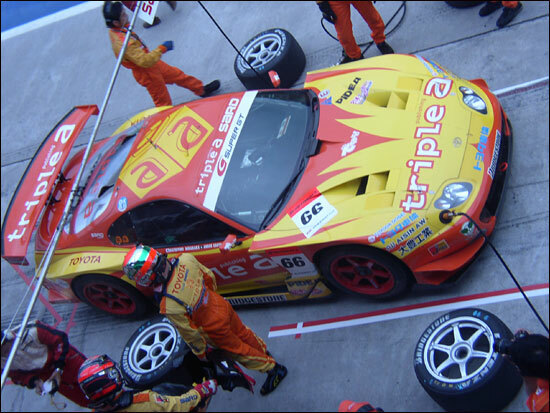 The Super GT series uses a “Super Lap” system. This morning, from 11-12, all the cars are welcome to take to the circuit, GT300 first and then the faster GT500 cars. Their times will be used to select the top ten in each class who will matriculate to the Super Lap period that begins at 16:00. FYI, we’re seven hours ahead of the UK, six ahead of the Continent and 15 ahead of where I live where it’s still yesterday—although my brain is stuck somewhere in February while my mobile keeps giving me French time markers and messages from Bangkok. Each of the top cars will have the circuit to themselves during the Super Lap and the quicker of two flying laps will be used to set the final grid. Cars 13-n in each class will start behind the top 12 regardless of whether their morning times were quicker than any of the Super Lap cars. GT500 cars are always gridded ahead of GT300 and the start is conducted in split groups. This last point is relevant because of the continually changing conditions here. The air temperature is a fair amount lower today (mid-20s) but the humidity, as always, is high enough to rust an iron stove in an hour or so. We’ve already had some spits of rain and expect a few bursts during the day, but probably nothing lengthy. So timing means everything here today and presumably tomorrow. Ichijo Suga in the purported Boxster happens to be the first car to complete a flying lap, but his 2:10.698 will likely be eclipsed. Two laps later Suga tries to improve on this, only to execute a long, languid and easy to overcome spin. This only served to encourage him, and the Porsche driver reset fast lap with a 2:09.674. Hiroki Katoh in the unique Shiden is about three-tenths behind him. After about 6-7 minutes of the 20-minute session the order settled down to Tetsuya Yamano leading in the No. 7 Mazda—quite an accomplishment for the now rather aged car, then the Shiden and the Boxster. Behind them came Koji Matsuda in the No. 19 Celica and No, 96 Team Nova Nissan. The last named was driven by Takuya, oldest of four racing Kurosawa brothers. The youngest is his co-driver, Tsubasa. The GT500s took to the track for twenty minutes on their own and Ralph Firman jumped to the front with a 1:58.642 in the No. 8 works NSX. Then came Benoit Treluyer in the Team Impul Nissan Z and Ryo Michigami in the other works Honda, about a second behind the much closer times of the top two. Firman and Treluyer both handed over to their co-drivers and both cars kept their 1-2 order. Behind them Michael Krumm edged forward to third place with the No. 22 Nismo Nissan and then Yuji Tachikawa in the No. 1 Team Cerumo Lexus. Thus we had all three of the Japanese giants represented at the top. The last twenty minutes of the hour sees both classes on track. The day-glo red No. 8 Honda’s speed set earlier on continues to be the mark to beat. Loic Duval in the No. 32 Nakajima Racing NSX tried to break into the top 10 but his late session charge fell short and Erik Comas is safe in the last Super Lap spot with No. 24 Nissan 350Z. Suga’s fast lap in the No. 110 Porsche was later cancelled because of avoidable contact with the Shiden (below), dropping the Boxster to 9th on the provisional grid. *The two MR-S had previously run with turbos but have shed those four-cylinder units to run V6 naturally aspirated motors. 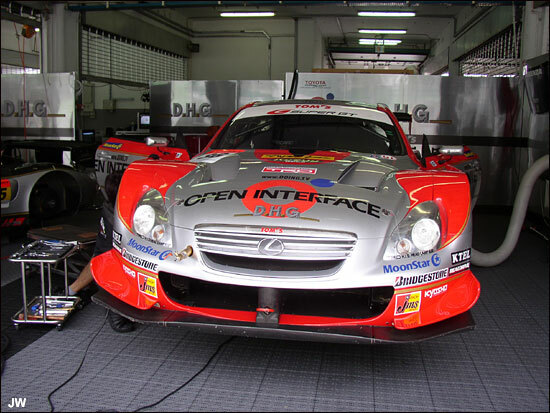 The Malaysian Super Series round was held in the early afternoon. The feature race was a 10 lap sprint for GTs and Touring cars in the Supercar, Supersixteen, and Super Saloon categories. It was won by Dilantha Malagamuwa. He should be familiar to many as a former Mosler driver in the Grand Am and the Japanese GT series. Sri Lanka’s foremost driver won here with a Porsche 996. Six seconds behind was a Mitsubishi Lancer piloted by Chong Fu Seong. A couple of RX-7s, another Porsche or two, a Nissan Skyline and more Mitsubishis rounded out the premier Supercar class. Both the Supersixteen (as in 16-valves) and the Super Saloon categories consisted of a mix of Honda Civics and some Proton Satrias. The afternoon Super Lap session is treated with considerable deference—almost a race unto itself. First there is a 15-minute semi-qualifier for the GT300s, then another for the GT500 class. By semi-qualifier, I mean that these times are not used for grid placement above tenth in each class. The rules require each driver to have set an adequate qualifying time. Thus any second drivers left over from this morning’s official period can set their time. Once these preliminaries are over, the non-candidates (positions 11 and below) retire to their garages. Finally the Super Lap cars with their designated “Attack Driver”—I didn’t make that up--goes out for a flying lap. There are actually three timed laps for each car, a warm-up, the “biggie,” and the cool down. The last is meaningless but the warm-up can be a precursor to the car’s final result. The GT300s cycle through this first and then we do it all over again for the GT500. There had been the requisite brief rain of the day, coinciding with an interim between support races. Now there is a stiff southwesterly breeze that is drying the circuit and not bringing any more rain with it for the afternoon. However, it appears that there are enough slippy spots to call for caution, at least while the first cars are out there. One car hit a spot of bother during this last session. Joao de Oliveira landed in the gravel with the No. 3 Z. It will be a challenge to vacuum out all those panels before it’s his turn to go. For the record, the fast cars in each class during this tune-up period were Treluyer’s Nissan in GT500 at 2:00.629 and Tetsuya Yamano again quickest in GT300 with a 2:11.327 in the lone Mazda. Clearly, no one was really pushing it in this period. The cars go out in reverse order of times so Tetsuya Tanaka of the No. 11 Ferrari is the first to go solo. He records a 2:17.765 on his first lap and then settles for 2:11.296 the next time around. It will be good for no worse than 10th on the GT300 grid, although it would place him well down the field if this morning’s time were taken into consideration. Next to attack is Ichio Suga in the blue Boxster. His 2:12.812 already shows potential and the follow-up 2:10.810 gives him the provisional class pole. Before the preceding driver completes his flyer, the next car is already released. Third one out is Mitsuhiro Kinoshita in the far more convential No. 14 Porsche, although his initial warm-up lap of 2:222.49 is far off the mark. Kinoshita responds with a 2:11.119, slotting him ahead of Tanaka. Fourth car up is the No. 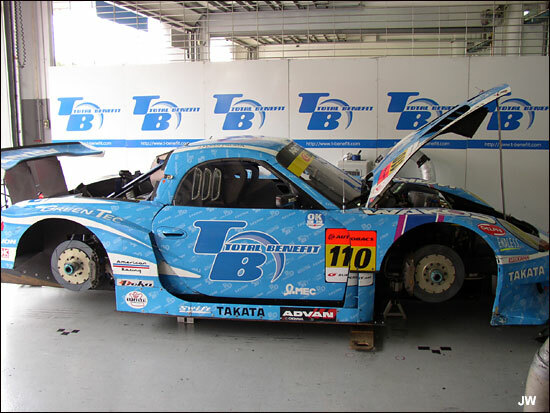 13 Nissan, driven by Masami Kageyama—and again there is a long wait. His 2:17.482 was followed by a 2:10.090, capturing the provisional pole. This one at a time system on such an expansive course is not exactly nail-biting stuff for the small fry, rather like watching a lengthy drama unfold—at least it’s easy to follow. It gets much more exciting during the GT500 period. Nobuteru Taniguchi completes the first half of the GT300 runners in the No. 27 Vemac. He recorded the best opening lap at 2:11.906, but then spun and narrowly was able to keep going on the supposed flyer. He recovers to a 2:17.801, not bad considering, but definitely at the bottom. The dramatic Ford is next up with Hidetoshi Mitsusada aboard. His V8 rumbles past at 2:17.124 and then a 2:10.694—ranking him second. Another Vemac is next, the elder Kurosawa in No. 96. He’s off the pace on the first lap but answers with a 2:11.184, bumping him to fifth. Shigekazu Wakisaka, third fastest in class this morning, is chosen to drive the No. 19 Toyota Celica and records a good 2:11.673 the first time past. The distinctive Shiden is next (dare I say that it looks a DP?). The ex-Panoz man, Hiroki Katoh, takes it to a good 2:12.700 the first time but follows it with a very special 2:08.692, the class pole whether considering either the morning or afternoon periods. After a five-minute break in proceedings, GT500 qualifying starts with Erik Comas in the No. 24 Kondo Racing Nissan. His opener is 2:01.169 and then a 2:03.169 for the obvious provisional pole. It remains dry although the thick overcast has led to several drivers turning on their lights. Sebastien Philippe, No. 100 Honda NSX, opens with a good 2:01.635 and a truly fine :00.392—possibly the best lap we’ll see today. Satoshi Motoyama, No. 23 Nismo Z, records a cautious 2:09.243 but he closes the gap through each split and his next is ably competitive at 2:00.436—good for second overall. Joao Paolo Lime de Oliveira, with the cleaned-up Yellow Hat No. 3 Nissan does a 2:06.210 and then really turns it on—matching or beating most of the split times. However, there was just a few meters to much track for him and has to settle for second spot with a 2:00.410. Ryo Michigami begins the star power side of the field with the No. 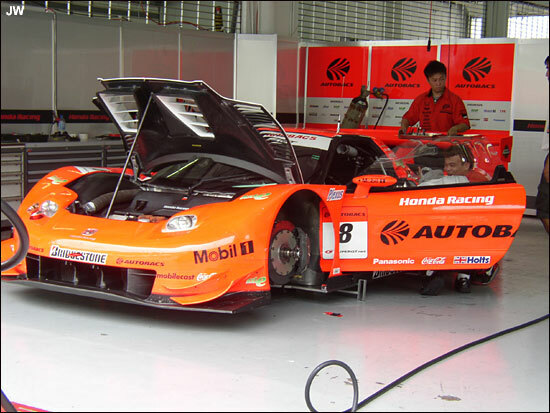 18 Team Honda NSX. But his 2:01.100 is only fourth fastest, displacing Comas. Andre Lotterer, No. 36 Lexus (below), shows that he is a threat with a 2:03..72 warm-up lap. The potential is very real as his 1:59.693 is the new standard. Yuji Tachikawa, No. 1 Lexus, looking every bit the luxury racer, comes through at 2:00.963 and then at a scintillating 1:59.228. The bar is once more reset. Two cars remain. Benoit Treluyer, No. 12, Team Impul Nissan, opens with a 2:00.292. He then puts a wheel off a turn or two before the first sector mark, yet returns a time equal to the thousandths with the leader. But it appears that there was some momentum lost and he ends up a half second down, only good for third. Ralph Firman is Honda’s last hope. The No. 8 NSX starts with a 1:59.359, the first sub-two-minute warm-up lap. Then he’s a full six-tenths clear of Krumm at the split. Firman is stronger yet and finishes the session with the definitive pole at 1:57.866.